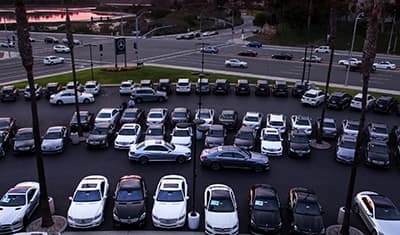 As your Mercedes-Benz lease approaches maturity, Fletcher Jones Motorcars doesn’t see it as the end of the road, on the contrary, we see it as the beginning. 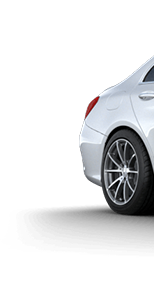 We are here to make the lease-return process simple, easy and perhaps even a bit exciting, regardless of where you purchased your Mercedes-Benz. Of course, we would love to keep you driving a Mercedes-Benz from Fletcher Jones Motorcars and to show you we mean business, we have incentives totaling $1,750 to help start that process. You don’t even have to wait until your lease is over, we can show you just how easy it is to get into a new Mercedes-Benz of your choice right now with one of our new Mercedes-Benz lease specials. 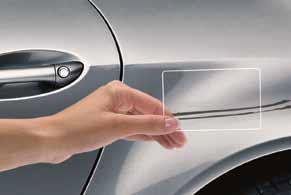 wear and use when inspecting your vehicle’s exterior and interior. Any scratch through the paint larger than the size of a credit card. Any dent that is larger than the size of a credit card. Any damaged safety items, regardless of size (e.g., torn seat belts). Collective damage that is caused by a single event, regardless of size. Any holes, cracks, gouges, tears, or cuts in the sheet metal or bumper, regardless of size. Any tears to the interior larger than the size of a credit card. Wheels that are cracked or bent. Wheels that were not originally equipped with the vehicle at the time of delivery. Tires that are the incorrect size, have sidewall damage, or exposed cords. Glass and lights that have cracks, stars, holes, or plugs. Our unique Three-Point Inspection will help you understand what is considered excess wear and use. 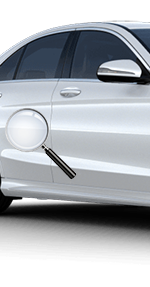 While the standards in your lease agreement provide you with a detailed definition of excess wear and use, the magnifying glasses to the left illustrate how we identify and determine whether or not damage is considered excessive. Windshield, Lights, Wheels and Tires – A quick visual check of these areas will help you determine what is considered excess damage. Missing Items – Check for original equipment items and verify that scheduled maintenance is up to date. We want to ensure that the lease-end experience is simple and predictable for our customers. With First Class Lease Protection (FCLP), our customers can gain peace of mind knowing that they will be covered for certain excess wear and use charges providing a smoother lease-end process with no deductible. Waives up to $7,500 maximum limit of specified excess wear and use. Windshield damage charges will be waived. Charges for loss or damage of one key fob will be covered. Waives Excess Wear and Use Charges on each covered single event that results in damages less than $2,000. Charges for any missing parts and equipment will be waived up to $200 each; any missing part that is valued at more than $200 is not covered. Pull the slider to see what FCLP covers. What better way to “make-it-easy” then to provide you with up to $1,050 to help you in completing your current lease smoothly. In addition, for an easy transition to your next vehicle, we’ve also included a voucher for $1,000 to apply towards your drive-off fess when you lease a new Mercedes-Benz from Fletcher Jones Motorcars. * Does not apply towards AMG®, GLE, GL and G-Class vehicles. Current lease must be through Mercedes-Benz Financial Services. See below for the most common Frequently Asked Questions regarding the end of your Mercedes-Benz lease, regardless of where you purchased your vehicle. Contact our Loyalty Advisors at (949) 718-3000 for further assistance. Payoff at the end of the lease is the residual price as set forth in the contract along with a Purchase option fee, also described in the contract Section 9. Please contact your Loyalty Advisor for further assistance. Can I buy more miles? Yes, miles can be purchased during the life of the lease. Please contact your Loyalty Advisor for further assistance. How long can I extend my lease? Extensions are subject to credit approval and the term of the extension may be limited. There is no guarantee for an extension, nevertheless extensions are often granted in the case of a customer who will be taking delivery of a Mercedes-Benz vehicle that has not yet arrived at the Dealership. Please contact your Loyalty Advisor for further assistance. Do my tires need to be the same size brand etc..
You will be charged if you have tires that are mismatched: Tires on each axle that are not the same size, brand, model, type, and / or speed rating, and equivalent in quality and performance to the original tires (Note: 4-wheel drive vehicles require all 4 tires to be the same size, type, and speed rating). Please contact your Loyalty Advisor for further assistance. Do I need to perform my last service? Yes. Please contact your Loyalty Advisor for further assistance. The following vehicle conditions will result in excess wear and use charges: Maintenance specified by the manufacturer has not been performed and documented. Warranty repairs have not been completed. Do I need to pay anything when I drop my car off for a lease return? 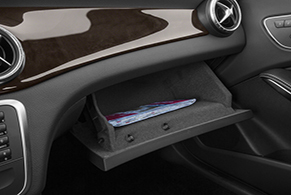 Payment at Dealership is not required, a lease-end statement with any lease-end charges will be mailed to your address. Please contact your Loyalty Advisor for further assistance. Why do I need to perform an inspection now when my lease is not due until _____ date? A complimentary lease pre-inspection can provide you an understanding of any potential excess wear & use lease-end charges. 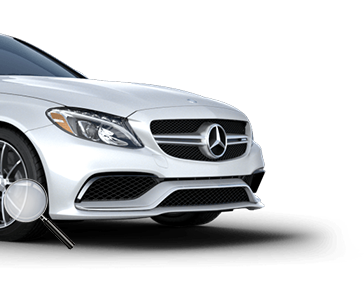 By doing this early, it allows you the opportunity to have repairs completed, at an authorized Mercedes-Benz location, prior to final turn-in of the vehicle. Please contact your Loyalty Advisor to schedule your inspection. What exactly does the inspection entail? The inspection entails an authorized third party inspector conducting a complete review of your vehicle and documenting both normal and excess wear and use conditions on the vehicle. A typical inspection lasts 30 – 45 minutes . Please contact your Loyalty Advisor to schedule your inspection. Do I need the inspection performed if I plan on buying it out? The complimentary Pre-inspection is optional. Please contact your Loyalty Advisor to schedule your inspection. What is the inspection for, my car is in perfect condition? The complimentary Pre-inspection is always recommended to ensure transparency in the Excess Wear and Use charges that could come at lease-end. Please contact your Loyalty Advisor to schedule your inspection. Disclaimer: As program specifics are subject to change, please contact Mercedes-Benz Financial services with any additional questions and potential changes to policy. Find the best lease or finance deal on that Mercedes-Benz you’ve been longing for, because why not drive the car of your dreams? We offer competitive pricing to help you to get into the perfect vehicle at terms that fit your budget. Cruise through Orange County in style. Shop the latest selection of Mercedes-Benz models and get behind the wheel of yours today. From the stylish C-Class Sedan to the GLS with seating for seven, we have a suitable vehicle for every need. We know a vehicle is a big investment so exploring all your options is a good thing, like leasing a car. 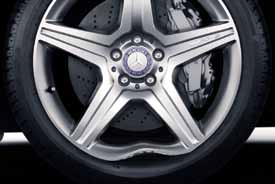 When you lease a Mercedes-Benz, you can customize your monthly payment and length of time.